All the News That’s Fit to… Make Up? Last week I noticed a story that many of my college and high school Facebook “friends” were posting a story from the New York Times on their timelines. 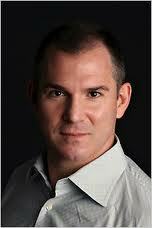 The article, by Times writer Frank Bruni, was the story of one of his college classmates who was a divot Catholic turned abortionist. According to a story from the Catholic News Agency (CNA) Brun is now under fire for fabricating the story. Bruni’s article highlights the popular atheist position that once one becomes educated they stop believing in something as archaic as the Catholic Church. This is a popular opinion also of many of my high school and college friends. Considering how up until college I had a Catholic education I find it interesting just how many of my acquaintances have begun attacking they Church since the bishops of the United States have come out against President Obama’s HHS contraception mandate. If it is true that Bruni has fabricated this story than the question must be asked that at what length will the liberal media will go to discredit Christ’s Church. It was not enough to simply ignore the good that the Church does while over-reporting the sinful actions of the few who happen to associate themselves with the Church. If this alleged report is of falsifying an article is true than I ask what will be the next step? We are, as a Church, at war. Anti-Catholicism is rampant in the media while positive reporting is non-existent. Please click on the pic of St. Michael on the top right of this page and pray for his defense often prayer often. Find Bruni’s original story “Rethinking His Religion” HERE.